This chapel was built in 1860 to replace the smaller Wesleyan chapel on the same site. 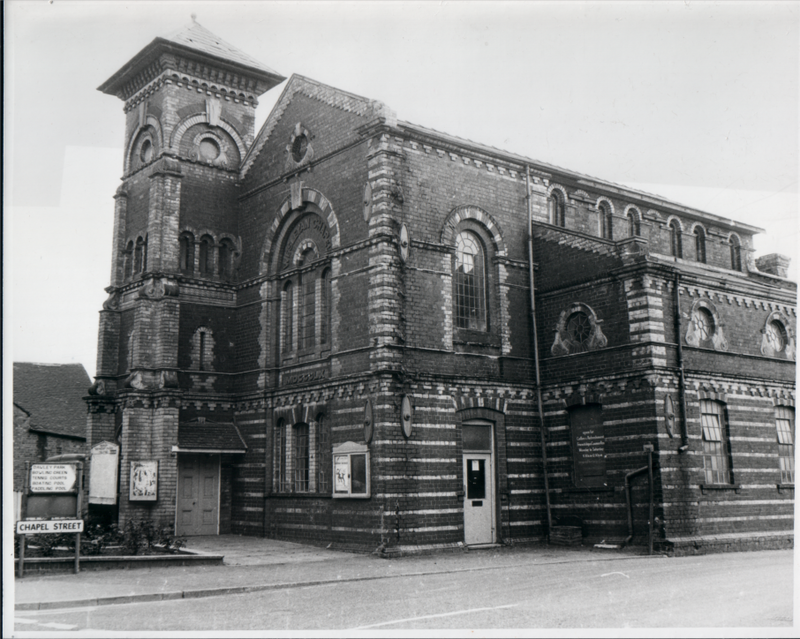 This imposing blue and yellow brick building became the centre for Methodist worship in Dawley after 1960, after the merging of Wesleyan Methodists with other Methodist societies on the High Street. It then became known as the Central Methodist Church. In 1960 its ground floor was turned into an interdenominational pastoral centre but fears for the safety of its structure led to its demolition in the late 1970s and its replacement by the Dawley Christian Centre.